AustinPostcard - Texas State Capitol, Austin, Tex. 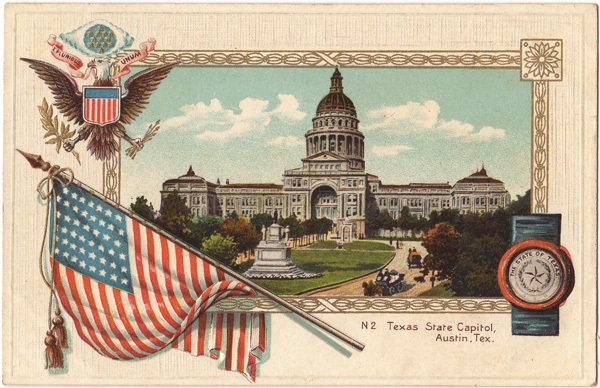 Postcards > State Capitol & Capitol Grounds > Texas State Capitol, Austin, Tex. Texas State Capitol, Austin, Tex. Text on Back: TEXAS, the largest state in the Union, has its State Capitol in Austin, Texas has an area of 265,780 square miles, and came into the posession of the United States as a result of American victory in the Mexican War. Texas is known as the "Lone Star State"